47 F. high in the Twin Cities Tuesday, coldest day since May 2. First 32 degree low temperature of the season likely Thursday, again Friday morning, across much of the metro. No rain between now and Sunday - no major storms in sight for Minnesota through Halloween. 50 tornadoes so far in Virginia in 2011 - second most on record, according to the Capital Weather Gang. 3 degrees colder than average: MSP winter temperatures will probably run a few degrees below average for the entire winter. 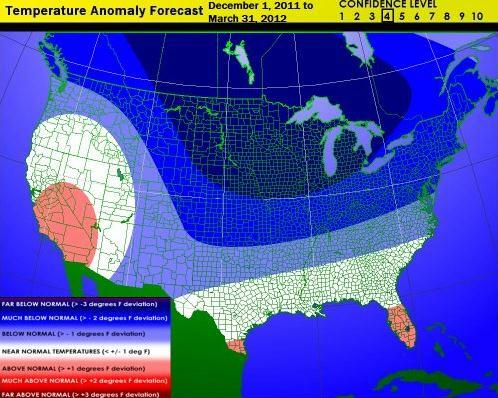 No El Nino to save us this winter. Less Snow: 50-55" possible. I'm predicting far less snow for MSP and the rest of Minnesota this winter (the biggest storms are forecast to track well south/east of Minnesota). The meteorologists I've interviewed all seem to agree that we will NOT see nearly as much snow as last winter, when 86.6" fell (4th snowiest on record). * Best chance of snow: late November, again late February into March, as the storm track lifts northward again. This forecast is based on a mild to moderate La Nina (cooling of Pacific Ocean water), coupled with strong ridging over Alaska and Greenland, assuming a negative phase of the NAO, the North American Oscillation, and a similar negative phase of the EPO, or Eastern Pacific Oscillation. 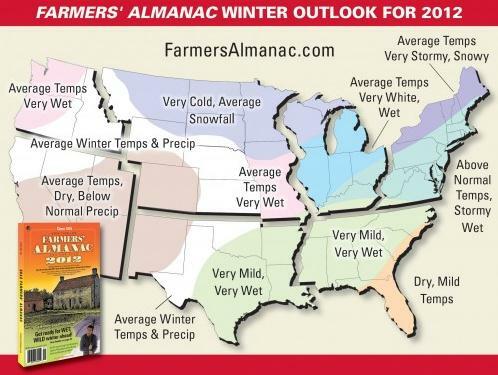 Winter 2011-2012 Outlook. Larry Cosgrove is a fellow Penn Stater, a gifted meteorologist who specializes in long-range weather forecasting (for the oil and gas industry). He has a long, rich history of making very accurate calls, 3-6 months in advance, getting the big picture right a vast majority of the time. This upcoming winter Larry is predicting bitterly cold weather from Montana to Minnesota to Michigan, temperatures 2-4 degrees colder than average. One possible benefit of the persistent cold from December through February: these outbreaks may suppress the main storm track, the main highway for storms, well south of Minnesota. That, in turn, could result in fewer snow and ice storms. I have a hunch we'll see a lot less than 86" of snow, and Cosgrove's analysis seems to agree with that assumption. Best guess? 50-55", maybe less. For the sake of all my snowmobiling buddies I hope I'm wrong on that call. Colder, less snow than average. That's the official prediction. Stay tuned. 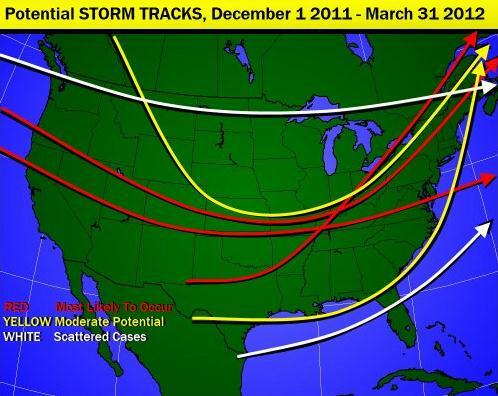 Projected Storm Tracks. Based on blocking highs over Alaska and Greenland much of the winter, the prevailing storm track is predicted to stay south of Minnesota, favoring heavy snow for the Midwest, Great Lakes, even New England. We'll see plenty of snow - but the odds of another 80"+ winter are slim to nil, in my humble opinion. 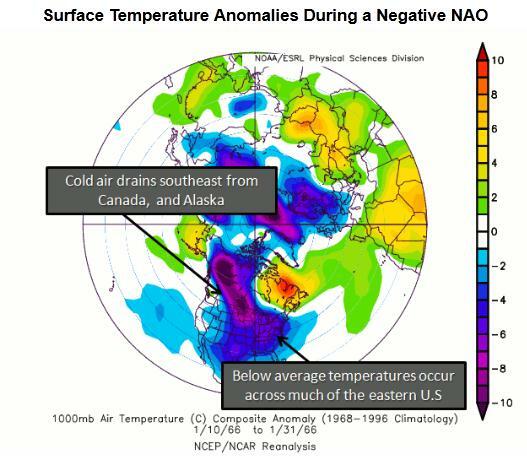 Map above courtesy of Larry Cosgrove and his excellent WxAmerica newsletter. LESS THAN 15 FEET THURSDAY NIGHT. Pagami Creek Blaze: $21 Million Fire. Here are some details on the BWCA blaze, courtesy of Range News Now: "The U.S. Forest service is reporting that the cost of fighting the fire at Pagami Creek is now at $21,000,000. The Pagami Creek fire remains 92,682 acres and 91% containment. There are currently 291 personnel assigned to the incident. Crews and resources continue to be released as containment of the fire increases. 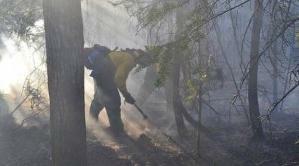 Strong winds during the past three days have hampered both crew removal and equipment haul back from the fire lines. Yesterday, fire crews continued to work on line construction in the Ferne Lake and Bog Lake areas. The remaining areas of the fire are in patrol status. Monday morning at 6 am, management of the fire has transitioned from the Minnesota Interagency Type Two Team (Greg Peterson) to the Eastern Area Type Two Team with Paul Kollmeyer as incident commander. Providing for firefighter and public safety is a primary concern, and plans are in place to bring crews in to camp if necessary." Talk Turns To Better Warnings For Tornadoes At Weather Conference. A NWA (National Weather Association) conference in Birmingham is focused on (among other topics) breakthroughs in severe storm forecasting. The Birmingham News has more details: "HOOVER -- Weather forecasters and experts from around the country began this morning examining the April 27 tornado outbreak looking for ways to improve forecasts and warnings so more people might be saved in the future. A record 615 weather professionals, teachers, students and researchers kicked off a series of weather related presentations at the annual National Weather Association conference at The Wynfrey Hotel. "A lot of this is focused on how we can reach as many people as possible," said Jim Stefkovich, meteorologist in charge of the Birmingham National Weather Service office and one of the conference organizers. Social media such as Twitter and Facebook can extend the reach of warnings in places where people are used to using those forms of media, such as Tuscaloosa. But in rural areas, that approach doesn't work. Not one of the residents surveyed in the small town of Smithville, Miss., where an EF5 tornado killed 16, got their tornado information from social media before an EF5 tornado destroyed their town, said Michael Brown, chairman of the association's Broadcast Meteorology Testing. "It's TV and sirens for this older group," he said. " Photo credit above: "Better storm warning systems are a topic at the gathering of more than 600 weather experts in Hoover. 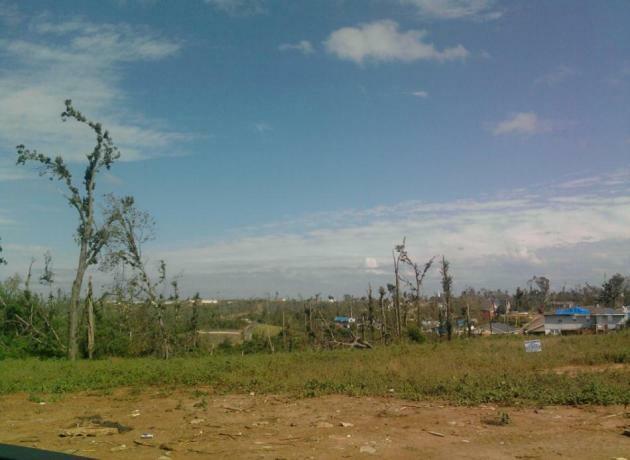 Above is one view of part of the field of devastation in Tuscaloosa as a result of the April 27, 2011, tornadoes. (al.com photo/Izzy Gould)"
This site provides recent marine data (wind speed, direction, gusts; wave heights; air temps; and atmospheric pressure) from buoys and other observation stations. The NHC Tropical Prediction Center offers a wealth of information, including data on aircraft reconnaissance, as well as the latest satellite data. The site also catalogs all bulletins. Find out what areas have received emergency disaster declarations and link to state emergency management offices. This site offers solid hurricane awareness and preparedness tips, plus links to many more resources. This site tracks storms that have potential for affecting the Hawaiian islands. History teaches that a lack of hurricane awareness and preparation are common threads among all major hurricane disasters. 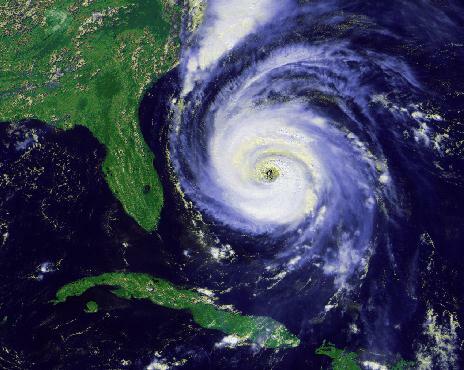 Learn your vulnerability and how to reduce the effects of a hurricane disaster. A list of warnings for hurricanes and other weather events around the country. 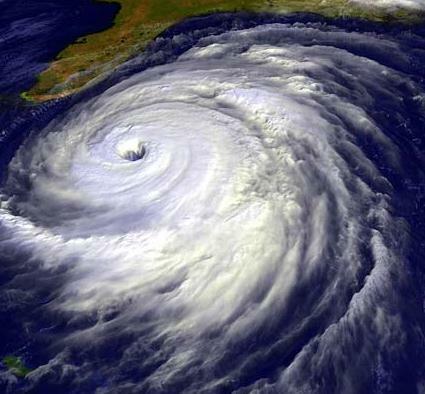 Study: Hurricanes Are "Clustered", Not Random. I thought this was a very interesting development, reported by the Summit County Voice: "A study of hurricane tracks during the past 100 years suggests that tropical storm activity is clustered rather than random, with short intense periods of hurricanes followed by relatively long quiet periods. The trend was most pronounced in the Caribbean, with strong clustering in Florida, the Bahamas, Belize, Honduras, Haiti and Jamaica. The findings, published in the journal Proceedings of the National Academy of Sciences, could have profound implications for hurricane forecasting and for monitoring impacts of tropical storms to coastal ecosystems and human populations. 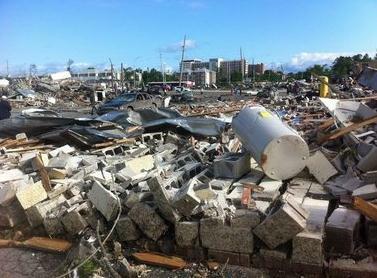 The researchers said it’s important to consider the clustered nature of hurricane events when predicting the impacts of storms and climate change on ecosystems. For coral reefs, forecasts of habitat collapse were overly pessimistic and have been predicted at least 10 years too early as hurricanes were assumed to occur randomly over time, which is how most research projects model the incidence of future hurricanes." Florida Keys Get Pounded By Rain, Flooding Closes Airport. The Miami Herald has the details of a vigorous storm over the Gulf of Mexico that soaked the Florida Keys with over 10" rain. At one point there was a risk that storm could strengthen into Tropical Storm Rina. That never happened, but this tropical wave produced torrential rains, even a rare October tornado watch for South Florida last night: "The rain continues to fall in South Florida — and it’s causing disruption to car and air travel. Showers are expected to bring another two to four inches of rain and thunderstorms with winds as strong as 18 mph could last through the day. 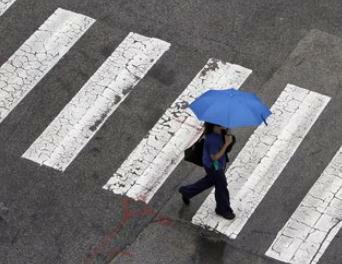 The National Weather Service issued a flood watch through the evening for Broward and Miami-Dade. There is also a risk of rip currents along the shore. The Florida Division of Emergency Management urges beachgoers to stay out of the water where reg flags are posted. As for the roads, commuters should be smart and careful: Leave the house and work with an umbrella and allow for extra driving time in case of accidents and slower moving traffic." 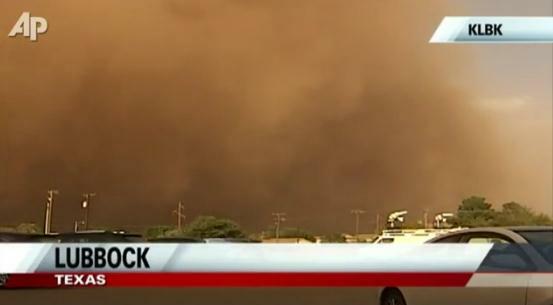 Lubbock Haboob. 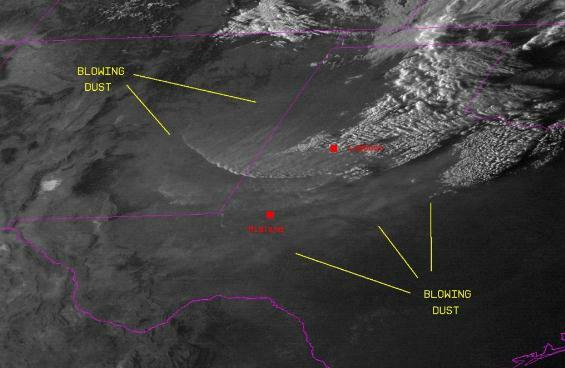 Check out this impressive YouTube video clip of a massive sandstorm pushing into Lubbock, Texas - a blizzard of dust and sand dropping visbilities close to zero. Thanks to Adam Young for passing this along and providing the following commentary about the event: "Taken near Covenant Women's and Children's. You can see the Medical Center in the background be enveloped by dust. This rolled through at about 5:40pm along a very powerful cold front. The airport gusted up to 61 mph and Slaton (just southeast of Lubbock) hit 71mph before the station went out. That's only three mph off hurricane force!" Epic Dirt-Storm. 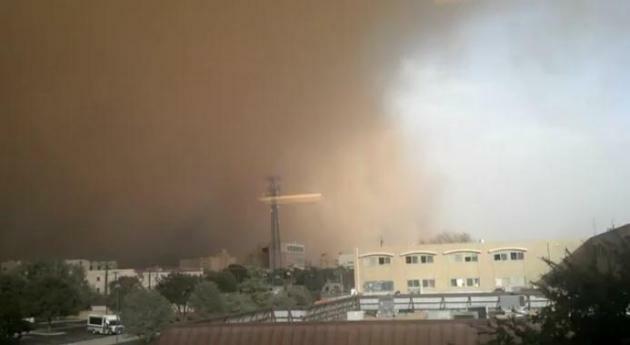 The Associated Press has another view of the wall of sand and dust that descended on Lubbock, Texas on Monday. Quite a sight! 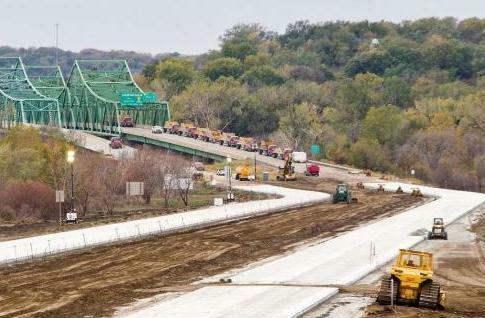 Governors Wrangle Over Flood Control Of Missouri River Basin. I don't think anyone predicted a 7-month flood on the Missouri River - that wasn't even in the realm of possibility. USA Today has the details: "HELENA – A meeting of governors of states affected by Missouri River flooding took a contentious turn Monday as Montana Gov. Brian Schweitzer challenged his downstream counterparts' assertion that upstream reservoirs need to play a bigger role in mitigating future flooding. Governors from North Dakota and South Dakota, Nebraska and Iowa said with long-term climate forecasts predicting yet another year of higher-than-normal precipitation, the U.S. Army Corps of Engineers needs to consider drawing down upstream reservoirs — including the Fort Peck Reservoir — to make room for that additional moisture." Foods Force Workers From Thai Factory Park. The AP has some amazing video that shows the scope of flooding in Thailand, the worst in at least 50 years. 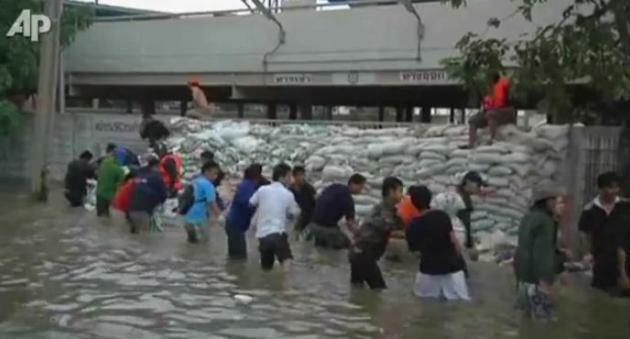 Millions have been impacted, and downtown Bangkok is not out of the woods just yet - flooding has already breached barriers and temporary dikes in the northern suburbs of the capital city: "Despite frantic efforts of volunteers to shore up flood defenses, Thai authorities Monday ordered the evacuation of another industrial park, the country's oldest, because of rising water." "Weather Anxiety". WPVI-TV in Philadelphia has a story about weather anxiety in kids; steps parents can take to minimize long-term trauma: "Recently, I received a voicemail from an Action News viewer asking for help her seven year old daughter who suffers from a profound fear of severe weather. The girl is so afraid of storms that she refuses to go outside when there are even a few clouds in the sky. I called the viewer and offered to talk to her daughter, explaining that not all clouds result in storms, but her daughter was too shy to come to the phone. Upon talking to the mom and doing a little research, I was surprised to discover that severe weather anxiety is a common phobia. Many people have a rational fear of certain types of severe weather that can be life-threatening, like tornados, hurricanes and even ice storms. 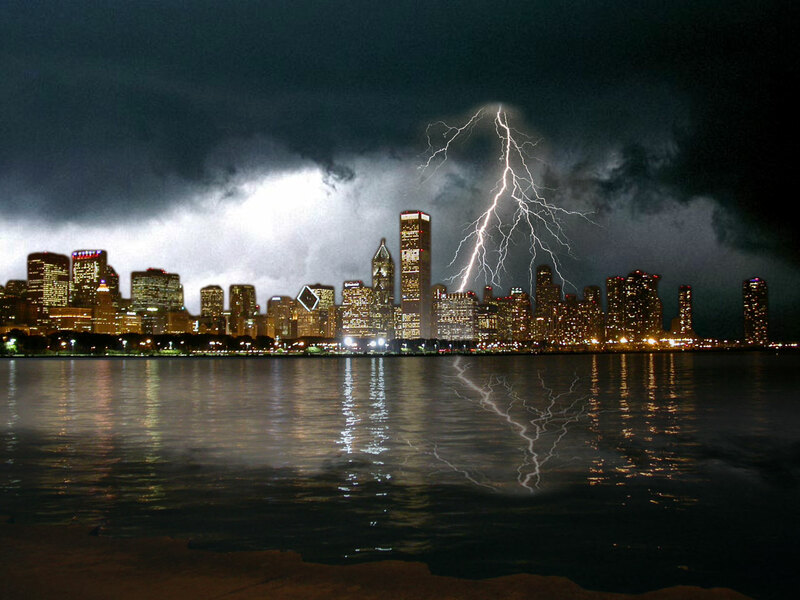 While being somewhat afraid of severe weather is considered to be a normalcy, it is considered a phobia when you are too afraid to even live your house to go to work when you know that a storm could be on its way tomorrow or even a week from tomorrow." Tuscaloosa Revisited. WeatherNation meteorologist Bryan Karrick is in Birmingham, AL for a NWA (National Weather Association) conference. They took busloads of meteorologists to some of the neighborhoods that were flattened by tornadoes on April 27, many of them 1-1.5 mile wide EF-4 and EF-5 super-tornadoes. The top photo shows what's left of one community; the debris bull-dozed away, revealing a desolate field, where a thriving neighborhood once stood. The bottom photo shows a neighborhood were 51 people were killed by a single tornado. Most of the trees were either snapped in half or stripped bare - you can still see evidence of 150-200 mph winds, just by looking at the trees. 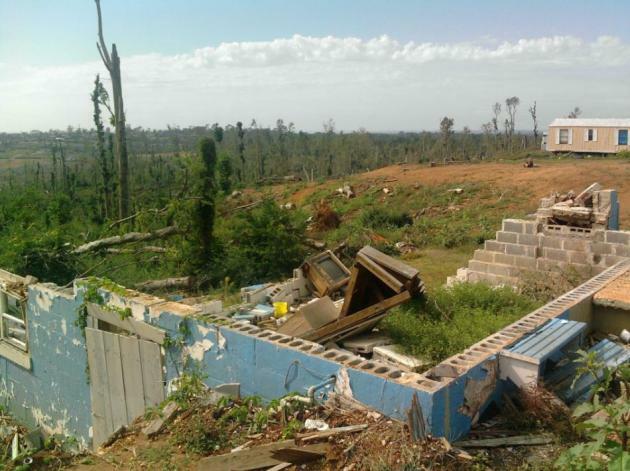 Here are some comments from Bryan, who is still at the conference in Birmingham, his impressions of what he witnessed yesterday - stuff that's pretty hard to put into words: "I've seen tornado damage, but nothing like what I saw in Tuscaloosa. It was even more eerie knowing I was surveying areas where many people died. Foundations were wiped clean, some neighborhoods no longer exist, and the debris traveled MILES away. We met an employee of the Tuscaloosa Public Works department who happened to live in one of the hardest hit neighborhoods. He was first on the scene after the EF4 tornado ripped apart large areas of Tuscaloosa, with the images of the dead, dying and destruction all around him. There was a brief moment when he got choked up, discussing a teenage boy about the age of his grandson, who had been severely injured by the tornado. This emotion is still all too real for the residents who remain in the area, some as the lone home in what was once a large neighborhood. The emotions are also quite deep for the meteorologists who covered the historic Super Outbreak of April 27th. James Spann, Chief Meteorologist for ABC 33/40 here in Birmingham, gave the welcoming speech for around 120 broadcasters at the NWA annual meeting (600 total meteorologists in attendance.) At one point, James stopped and told us he still cannot discuss the event. He said, "250-some people lost their lives on MY watch, and that's why I have a tough time talking about it." So what have we learned? 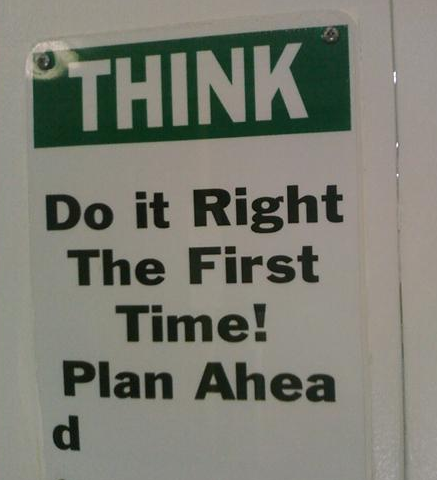 Building practices need to change. Basements need reinforced safe rooms, foundations need to be better supported, people need to below ground during events of this magnitude. A large percentage of folks here in Alabama said they didn't have a below ground or storm shelter. Those in the meteorology world need to use a stronger language in certain warnings that are issued, and broadcasters need to use a different tone of voice to convey an immediate tornado threat, especially when there's confirmation of a twister on the ground. And there needs to be a better way of warning the public without "over-warning" and causing a sense of complacency. Unfortunately, we also learned that no matter how we go about disseminating the information, there will be lives lost by those who have done everything we asked of them and took the appropriate safe actions." Cleaning Up The Trash In Space. The amount of junk in near-Earth orbit is staggering. Theweek.com has more details: "Since the space age began with the launch of Sputnik 54 years ago, we've turned the region just above Earth's atmosphere into a giant scrap yard, littered with everything from exploded rockets to tools lost during space walks. 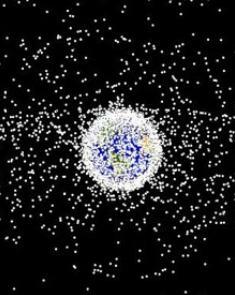 The U.S. Space Surveillance Network is currently tracking some 22,000 pieces of orbital trash that are at least 4 inches across. NASA estimates that tens of millions of smaller, non-trackable objects are circling the Earth, such as screws and flecks of spacecraft paint. It can take centuries, but everything that goes up comes down. Smaller trash burns up on re-entry; larger objects can reach the ground. That was the case last month, when a 6-ton NASA satellite made a fiery descent through the atmosphere and splashed into the Pacific Ocean. With more and more countries lobbing satellites into space, Earth's orbit is filling up with waste faster than gravity can empty it. "The problem is worse now than it was 10 years ago," says NASA engineer LeRoy Cain. "In 10 years it will be worse still." Even if humanity never sends up another rocket, the number of stray objects will continue to climb." Taste of November. Yep, yesterday I threw in the towel - took all my short-sleeve shirts up to the attic, brought down the long-sleeve shirts, sweatshirts and pull-overs. It's time. I suspect we'll see 60 again, possibly as early as Monday of next week. But Tuesday was the chilliest day since May 2, when the high at MSP was 40. 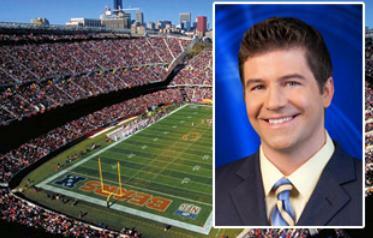 Under a gray sky "highs" ranged from 45 at St. Cloud and Eau Claire to 47 in the Twin Cities to 49 at Redwood Falls, about 10 degrees colder than average. O.K. I'm going to be accused of "hyping the weather", when (in fact) all I'm doing is trying to answer the question: "what will this winter be like?" After staring at the maps for a few weeks and consulting with meteorologists I trust, forecasters who specialize in long-range weather prediction, I'm fairly comfortable predicting a colder than average winter - one with a lot less snow than 2010. My semi-educated hunch: 50-55" snow - with January through March temperatures about 3 degrees colder than average. The reason? A weak to moderate La Nina, coupled with "blocking ridges" over Alaska and Greenland (negative phase of the Eastern Pacific and North Atlantic Oscillation). Bottom line: the weather will probably get stuck in a mid-winter rut, one that whisks the biggest storms south and east of Minnesota. The best chance of snow here? Late November, again from late February into March. Frankly, I hope I'm wrong. I'd be just fine with more snow and milder temperatures. Oh well. A few stray sprinkles are possible today, heavy jackets giving way to 50s this weekend; a shot at 60 by Monday - again on Halloween. Note to self: a mild October does NOT imply a kinder, gentler winter. Why America Lags On Climate Change. Ezra Klein has an interesting Op-Ed in the Washington Post's Wonkblog: "Why doesn’t the United States care about global warming? That’s a common question nowadays. Poll after poll has found that concern about the climate has tumbled. On the policy front, the United States is doing less than even China and India at this point, as a recent report from HSBC details. Over the weekend, Elisabeth Rosenthal tried to explain America’s carbon exceptionalism in a great piece in the New York Times. As you’d expect, it’s a complex, multi-layered story. But two factors — the Senate and the recession — seem worth highlighting here. First, there’s the question of “Why hasn’t the United States taken large steps to curtail carbon emissions?” One drudging-but-important reason is that large contentious bills are just plain harder to pass here in the United States. Back in 2009, recall, the House passed climate legislation that was as ambitious as anything Europe has done. A similar bill was at least in the ballpark of garnering support from at least 50 senators. What’s more, the president would’ve signed it. In most countries, majority support from two legislative chambers plus the president are enough to assure a bill’s passage. Not so in the United States. The bill needed 60 votes in the Senate to clear a filibuster. And 60 votes proved too high a bar." 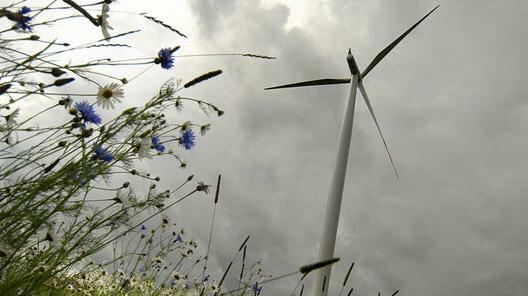 Utility Companies Can Now Blame The Weather For Higher Bills. The Mother Nature Network has the story: "LONDON - Greater reliance on solar, wind and hydro power means that utilities can now blame extreme weather for high electricity and gas bills, a meteorologist at global forecaster WSI told Reuters. Drought, freezing weather and heavy clouds can all hit household budgets as they restrict output from renewable energy plants. "It gives the utility companies an easy excuse now, they don't have to blame speculators, it's the weather," said Mark Stephens-Row in an interview on the sidelines of WSI's winter weather outlook presentation, while Britain's energy regulator Ofgem pushed ahead with plans to force suppliers to make energy bills more transparent. " Volvo V60 Diesel Plug-In Hybrid To Launch Next Year. This sounds pretty cool, details from gizmag.com: "At its unveiling at the 2011 Geneva Motor Show earlier this year, Volvo said its V60 plug-in hybrid was "virtually production-ready." This was an accurate statement as it turns out, with the Swedish automaker announcing that from next year it will begin selling what is likely to be the world's first diesel plug-in hybrid production car. The V60 plug-in hybrid has a range of up to 50 km (31 miles) when driven purely by the electric motor, with the car's total operating range extending up to 1,200 km (745.6 miles) when combined with the ICE." Warming Revives Dream Of Sea Route In Russian Arctic The dream is rapidly become a reality, according to this article in the Star News Online: "ARKHANGELSK, Russia — Rounding the northernmost tip of Russia in his oceangoing tugboat this summer, Capt. Vladimir V. Bozanov saw plenty of walruses, some pods of beluga whales and in the distance a few icebergs. One thing Captain Bozanov did not encounter while towing an industrial barge 2,300 miles across the Arctic Ocean was solid ice blocking his path anywhere along the route. 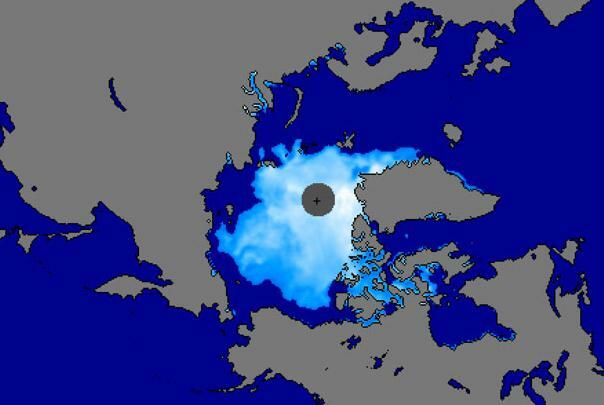 Ten years ago, he said, an ice-free passage, even at the peak of summer, was exceptionally rare. 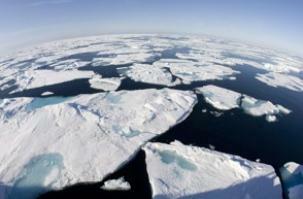 But environmental scientists say there is now no doubt that global warming is shrinking the Arctic ice pack, opening new sea lanes and making the few previously navigable routes near shore accessible more months of the year. And whatever the grim environmental repercussions of greenhouse gas, companies in Russia and other countries around the Arctic Ocean are mining that dark cloud’s silver lining by finding new opportunities for commerce and trade."